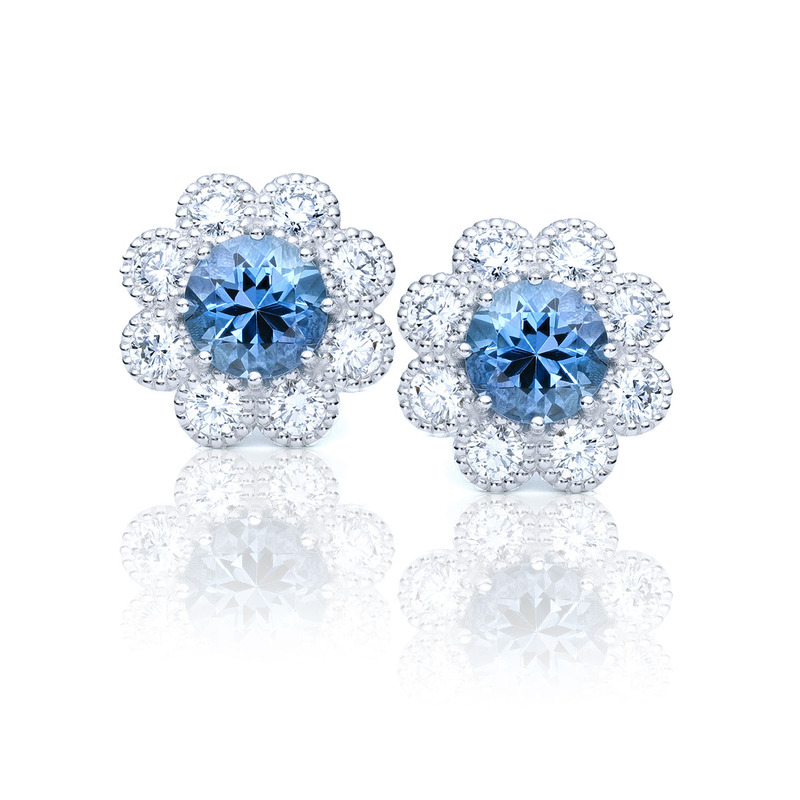 These 14kt white gold aquamarine and diamond earrings shine with a beautiful blue brilliance. 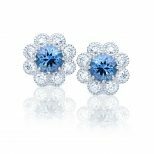 The round diamond cut aquamarines have a total weight of 0.90ctw with a rich blue hue. The round brilliant diamonds have a total weight of 0.59ctw. All of the diamonds are F/G in color, SI1 in clarity, and are ideal cut proportions. Our master jewelers custom make these earrings by hand in our Raleigh, NC studio. Each piece is designed and cast to fit each pair of aquamarines perfectly. Then the diamond sizes are chosen to fit exactly around the center aquamarine so that there is no excessive spacing. Now that the earring casting and diamond selection is completed our master jewelers will execute the finishing work and stone setting by hand. The aquamarines are set in a micro prong style and the diamond halo is set in a millgrain bezel style. Available in any size your hear desires.